Valentine’s Day is this week! and although the celebration varies throughout the Spanish-speaking world it is always nice to do something with your students on this day so they can learn and have fun with new vocabulary. This is an idea I got from a colleague years ago and I have adapted it for my classroom. For this activity, the students are to come up with things that just can’t be with out something else – so for example – peanut butter with out jelly or Spongebob without Patrick. The students then brainstorm a list of things in English and then write a poem in Spanish. I don’t usually EVER do translating, but my students are novices, so their vocabulary is still very limited and I emphasize and teach how to use a dictionary, not a translator, which in the end is a great skill for language learners. The students just love this activity and in the end learn a ton of vocabulary. Their end product is a Valentine poem on a card. This activity can be purchased on Teachers Pay Teachers in a word document format so you can adapt it as needed. What is really cool about this activity as well is that all of the languages at our school do this at the same time. They are all posted on a bulletin board and we do a follow up activity where the students see the similarities and differences between Latin, French and Spanish. 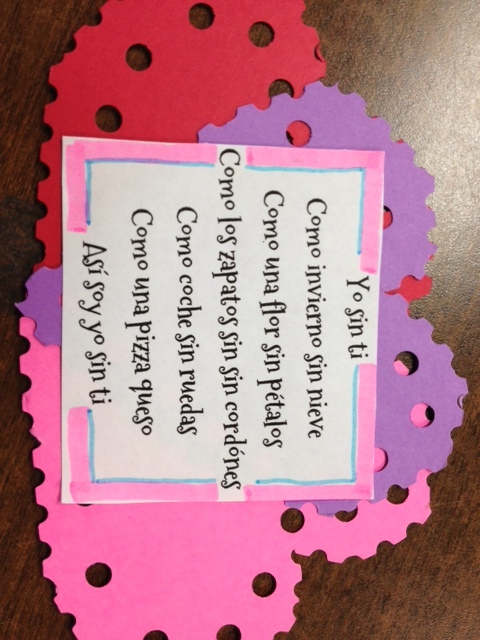 Do you have your students do anything special for El día de San Valentín? Do you ever do cross-language activities? Please share! 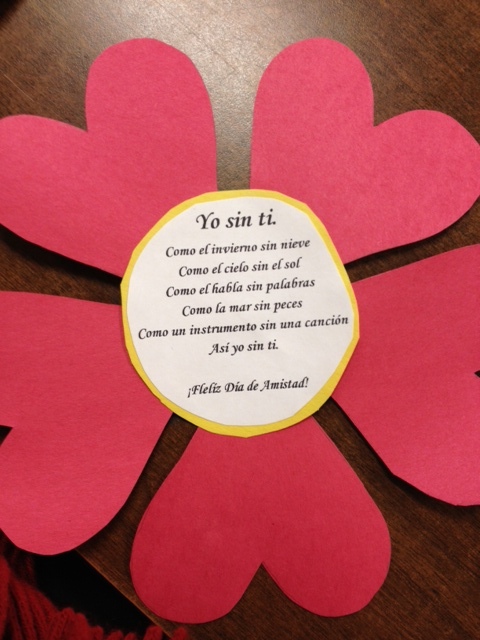 Next week, for my mini día de San Valentín unit, I am planning on having my students write poems as well as do some other fun vocabulary building activities. I plan on doing the activities in stations, as they don’t take too long and the students love to move around. One activity I am trying out this year is using texting or SMS vocabulary en español. I thought it would be a fun way to practice some of the Vday vocabulary. Here is the TPT activity I created. It has a list of common SMS terms as well as a screen shot from www.ifaketext.com for the students to write in their text messages. If you have ipads or computers handy, you could probably just have them do it online and take a screen shot to send you or print. Have you used SMS with your students? ¿Qué recursos usan uds. para este día? 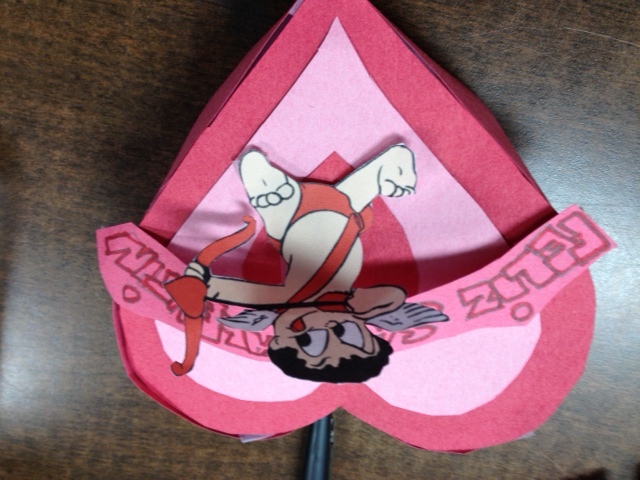 And below are some of the cards the students made with the heart candy. How did you celebrate this day with your students? 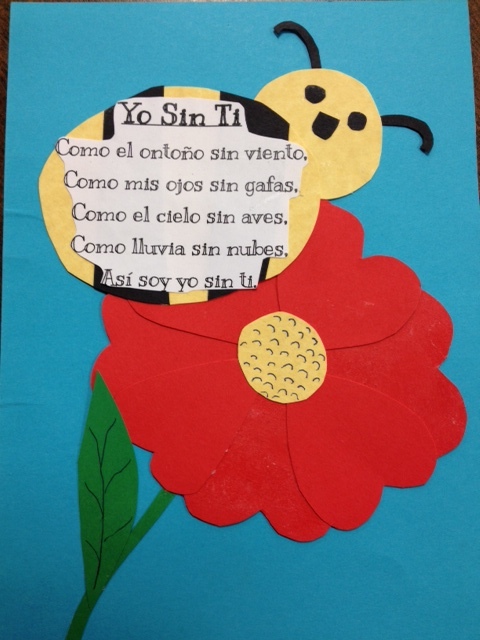 Mil gracias to the Creative Language Classroom site for inspiring great language teaching activities! This is one that I am trying for the first time this year and I’m sooo excited and I hope the students will like it to. I went to Target and cleaned them out of their Brach’s brand conversation hearts in Spanish and I plan on having my students write their own cartas de amor using the conversation hearts (activity link). What I am doing a little differently is I’m giving them a diccionario de amor to help them in their writing. My students are in 1A, so I think that doing this without some help would be way over their head. 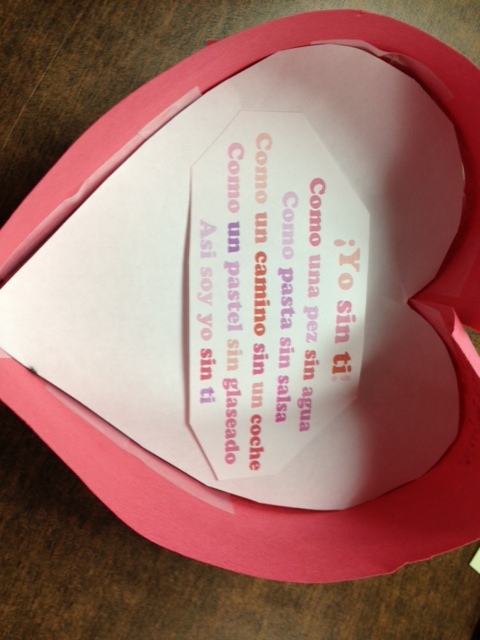 Here is the diccionario de amor I created based on the words you find in the Brach’s conversation hearts bag (Target!). How do you help your students do activities like this? Would you provide them with a list of words or not? If not, how else would you have them understand the words and phrases they are not familiar with and are not cognates?